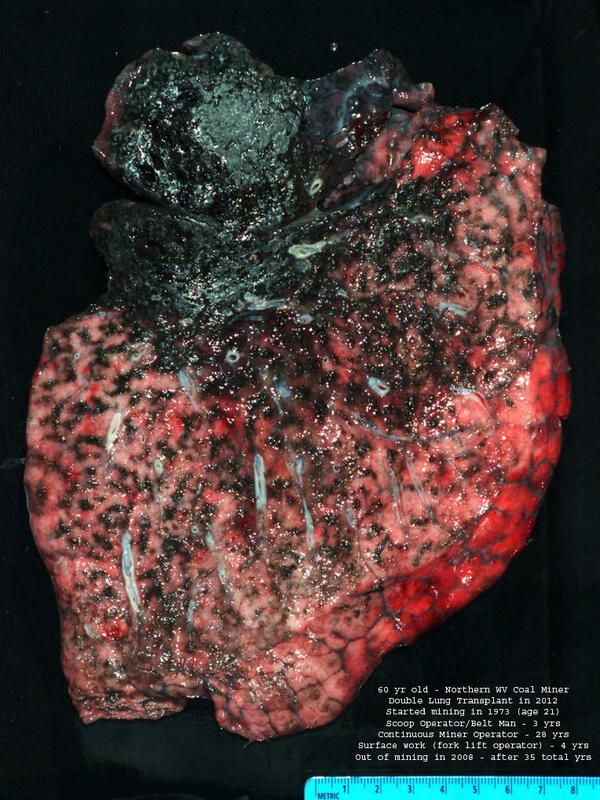 Complicated black lung is a fatal disease that steals the breaths of coal miners. When NPR's Howard Berkes started looking into how prevalent it is - this was back in 2016 - his investigation revealed that coal miners across Appalachia were suffering from it at a rate many times higher than what federal regulators were saying. What he uncovered was the largest cluster of the disease ever reported. And now a new study published today in the Journal of the American Medical Association confirms this. Here's Howard. 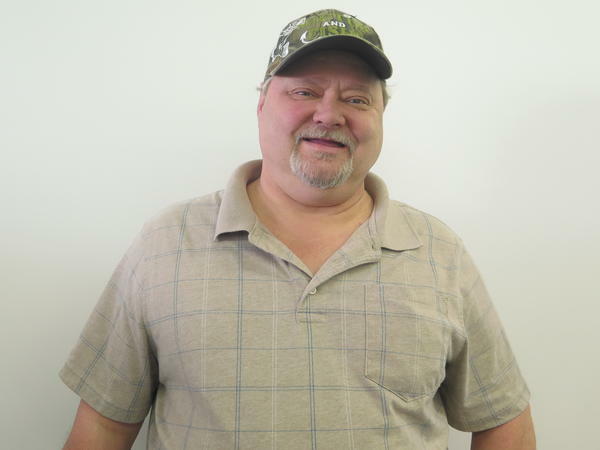 HOWARD BERKES, BYLINE: The study from the National Institute for Occupational Safety and Health, or NIOSH, involves three black lung clinics in Virginia serving miners in the region's coalfields. And as NPR first reported in 2016, those clinics are slammed with retired and laid-off coal miners seeking chest X-rays and breathing tests. BERKES: ...Which show as little as 16 percent lung function. BERKES: Maggard isn't even at the worst stage of black lung, the disease caused by the inhalation of coal and silica dust. But hundreds are. 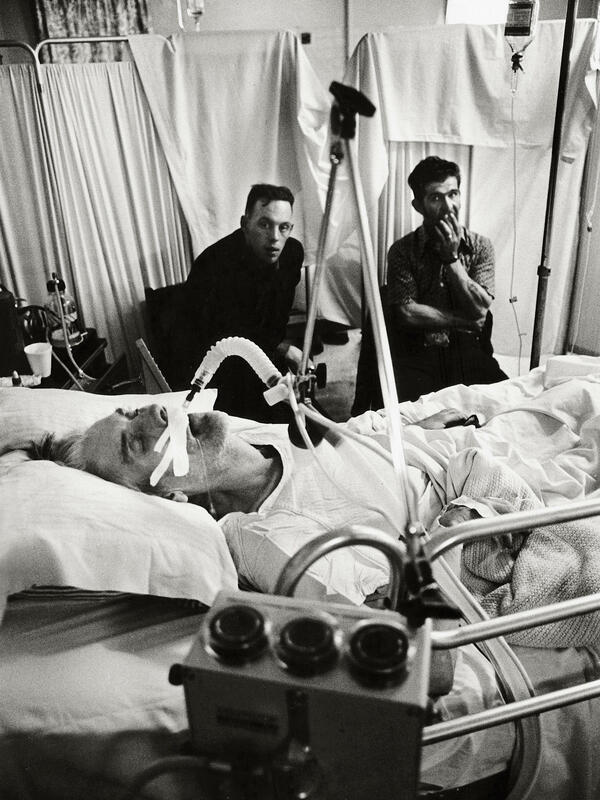 When these Stone Mountain black lung clinics first opened in 1990, they had five to seven cases a year of complicated black lung. Now they see that many every two weeks, 150 in the last year and more than 400 in the four years before. 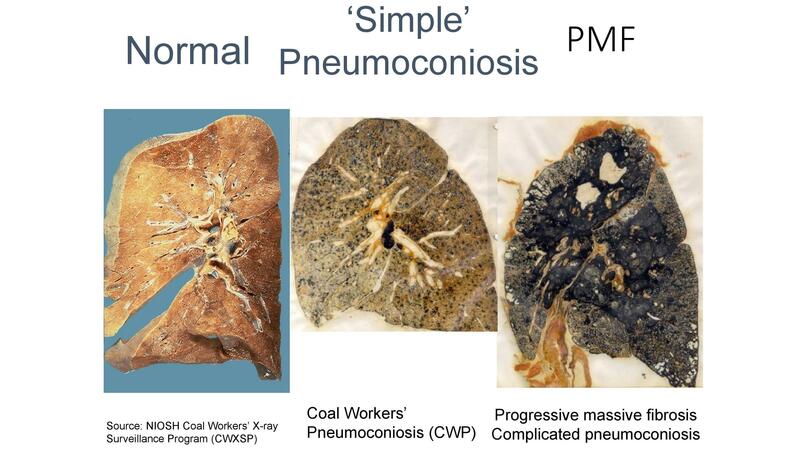 They're all coal miners with advanced black lung, also known as progressive massive fibrosis, or PMF. SCOTT LANEY: This is the largest cluster of progressive massive fibrosis ever reported in the scientific literature. BERKES: Scott Laney is the NIOSH epidemiologist who led the study of the Virginia black lung clinics. LANEY: We've gone from having nearly eradicated PMF in the mid-1990s to the highest concentration of cases that anyone has ever seen. Even with this number, which is substantial and unacceptable, it's still an underestimate. BERKES: NIOSH also confirms something else NPR first reported about these clinics. They used to diagnose miners who were 60 to 80 years old. Now they're in their 50s, 40s and even 30s. They're dying younger, which is something former coal miner Edward Brown thinks about. He has advanced disease, and he's 55. EDWARD BROWN: Can't breathe, you know, can't do nothing hardly like I used to (laughter). That's all I got to look forward to - to get worse and worse, you know? It just (laughter) - nobody looks forward to dying, you know? But it's coming, and that worries me. 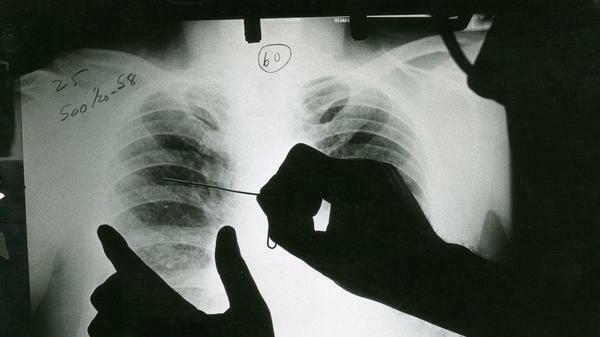 BERKES: Black lung slowly suffocates, according to miners who've watched dads and uncles die. NPR has reported that the likely cause of this epidemic is the mining of thinner coal seams. Massive mining machines cut rock with that coal, and the resulting dust contains silica, which is far more toxic than coal dust alone. The outbreak alarms Joe Wolfe, an attorney in Norton, Va., who helps miners file black lung compensation claims. JOE WOLFE: They really need to declare this a public health emergency. If you had 400 cases of E. coli, they would flood the area with technicians and doctors and nurses checking people's health. There are people literally working in the mines right now that have complicated black lung that do not have a clue. BERKES: NIOSH is doing what it can, says David Weissman, who runs the agency's respiratory health program. DAVID WEISSMAN: Public health emergency is a specific mechanism that the government uses to direct funds at things, and NIOSH doesn't have the ability to declare a public health emergency. But I will say that this is a very important problem. We're very passionate about this problem, and we're going to keep doing everything in our power to address it. BERKES: About 50,000 coal miners are working now. Their exposure to the coal and silica dust that cause black lung was supposed to be limited by new federal regulations that took full effect in 2016. The Trump administration has decided to revisit those regulations. That worries Joe Main, the retired federal mine safety chief who pushed for the tougher mine dust controls. JOE MAIN: It would be outrageous for any undercutting of those regulations that puts miners back in harm's way and subject even more of them to this terrible disease. And when we think we know as much as we thought we should know about the disease, the next day, it shows worse information. BERKES: The new mine safety chief is David Zatezalo, a former coal company executive. He says he's merely proposing to collect feedback as the Obama administration had promised. 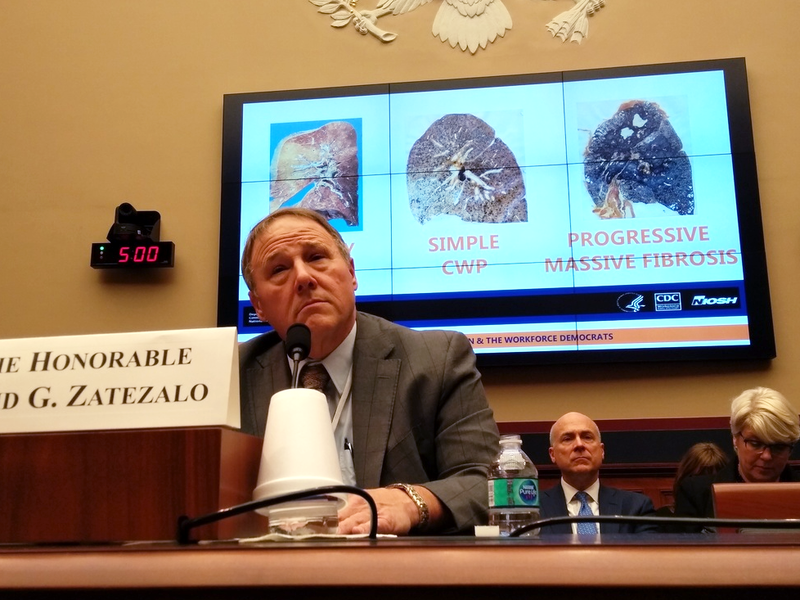 At a congressional hearing today, Zatezalo was asked directly about the new mine dust regulations by Democrat Bobby Scott of Virginia. BOBBY SCOTT: Do you plan to roll back any aspect of the 2014 Respirable Dust Rule? DAVID ZATEZALO: I do not. BERKES: The agency itself described the review as deregulatory. Zatezalo said he didn't know why it was labeled that way. In Virginia, Stone Mountain clinics director Ron Carson says complicated black lung needs more attention. He says the disease still takes years to develop even though it strikes quicker now and each death is solitary. It's a massive mining disaster in slow motion. RON CARSON: Mining disasters get monuments. Black lung deaths get tombstones. And I've seen many a tombstone in the 28 years from black lung. And I'm seeing more now - a lot more now. BERKES: There are both NIOSH and independent studies underway trying to pinpoint the number of miners suffering from the disease as well as the causes. Howard Berkes, NPR News. (SOUNDBITE OF MICHAEL BROOK'S "THE MINING DAYS") Transcript provided by NPR, Copyright NPR. President Donald Trump's mining regulators are reconsidering rules meant to protect underground miners from breathing coal and rock dust -- the cause of black lung -- and diesel exhaust, which can cause cancer. Back in March, Inside Appalachia aired a report about a rise in the number of chronic black lung cases. Since then, NPR’s ongoing investigation uncovered an additional 1,000 cases of the worst form of black lung disease in Appalachia.